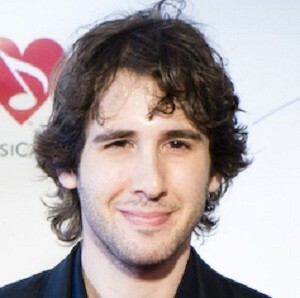 Joshua Winslow Groban (born February 27, 1981) is an author, composer, and American interpreter. At the end of 1998, the young Josh (17 years old) was introduced by his vocal coach to David Foster, a producer, arranger and composer of world renowned music. Thus, began an international career consisting of successful albums (Closer) and performances at prestigious ceremonies (Olympics, Oscars, Superbowl). He particularly performed with Lara Fabian on the song For Always, in the soundtrack to AI: Artificial Intelligence in 2001 and the song Believe, in the film The Polar Express in 2004.